Help us with reception and general housekeeping in Hong Kong! We are a small hostel in a local neighbourhood. We are excited to share local culture and experience with travellers from everywhere. We also involve in different green projects like recycling, up-cycling and green movie screening. We got some hostel awards and keep a high rating since we opened 4 years ago. 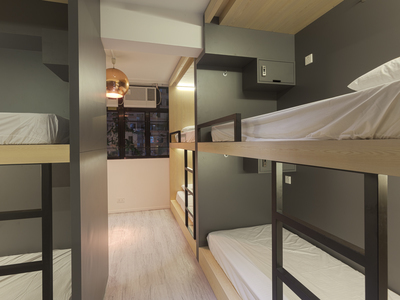 You can learn Hong Kong culture, history, stories and news from our team and meet people from everywhere in the hostel. You will be invited to different local activities and lot of chances to talk with local people and other travellers. Our hostel is ran by a group of people who like travelling but at the same time proud of Hong Kong culture. We are looking for people they are flexible, easy-going, open-minded and hardworking. As we are a small hostel, everyone here like family. We hope you will love our neighbourhood, love our hostel and treat it like your home.